(NaturalNews) Continuing with our launch of alternative media innovations (like the recent AlternativeNews.com and FETCH.news), I've just launched my new podcast website, HealthRangerReport.com. This podcast site, powered by LibSyn (Liberated Syndication), offers audio podcasts that can be instantly played or downloaded on Apple, Android, PC, Mac and Linux operating systems. 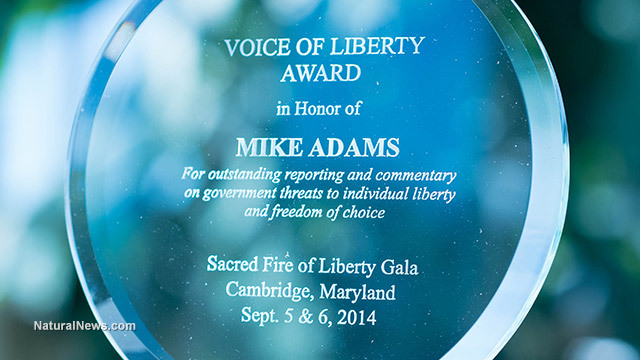 As a Voice of Liberty award winner for "outstanding reporting and commentary on government threats to individual liberty and freedom of choice," I'll be covering all the important topics of our day, including GMOs, vaccines, open borders and the invasion of America, fluoride, the fraud of Big Pharma, the coming stock market crash (and global debt collapse), self defense, firearms and gear reviews, home gardening tips, self-reliant living and much more. The Health Ranger Report is part entertainment and part serious commentary. I perform a lot of comedy improv and satire on the podcast, including engaging in a lot of voice acting and mocking of various 'tards (anti-preppers, pampered college students, Obama worshippers, etc.). SELL your stocks, bonds and mutual funds before the market crash! See more H.R.R. episodes as they're published at HealthRangerReport.com. A serious question: How many college students will die from real-world stupidity if a financial collapse unfolds?